Lexus Line Opencart Themes is very creative and great design concept not as tradition look that designed for digital and accessories, electronics stores. It is extremely suitable with store having huge product range. 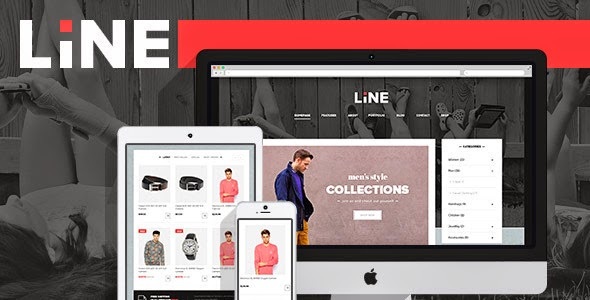 Using black color as background would be the smartest choice for an eCommerce solution for online market. And The theme used in special blocks and variant colors combination, clear structure and clean layout, where every item of the store being noticeable. This theme built on pavo framework version 3.0 and bootstrap version 3.x to make fully responsive theme that works perfect on all kind of resolutions as well for mobile, tablet, desktop having medium and large screen. With powered by the framework the theme support you many great tools to customize theme via using Live Theme Editor, Auto loading custom css files support you creating unlimited of theme profiles without code very easy and simple. and support multiple layouts for headers ,logo, maimenu + a lot of great included modules to make your site having rick features without purchasing 3 party – extensions. The Opencart Template included three skin colors, great Layer Slider Module having 100+ Great Animation JQuery Effect, Google Fonts, Power Megamenu Module having great design Make Mega Column Tool and customize included tool that you can customize your site very easy to get nice looks. Item Reviewed: Lexus Line Great Opencart Theme 9 out of 10 based on 10 ratings. 9 user reviews.